Specialist Financial Services Ltd (SFS) bring their brands together under one umbrella: the ‘Specialist Hub.’ The company has been trading since the 1980’s and is a provider of specialist financial products to mortgage brokers and Independent Financial Advisers. Its managing director, Tony Sutton, began his career in second charges and commercial mortgages in 1983. With brands including Specialist Homeowner, Commercial, Bridging, Residential and Development Finance – not forgetting the Loan Processing Centre, it’s easy to see why the company has taken the decision to move everything under one ‘roof’. 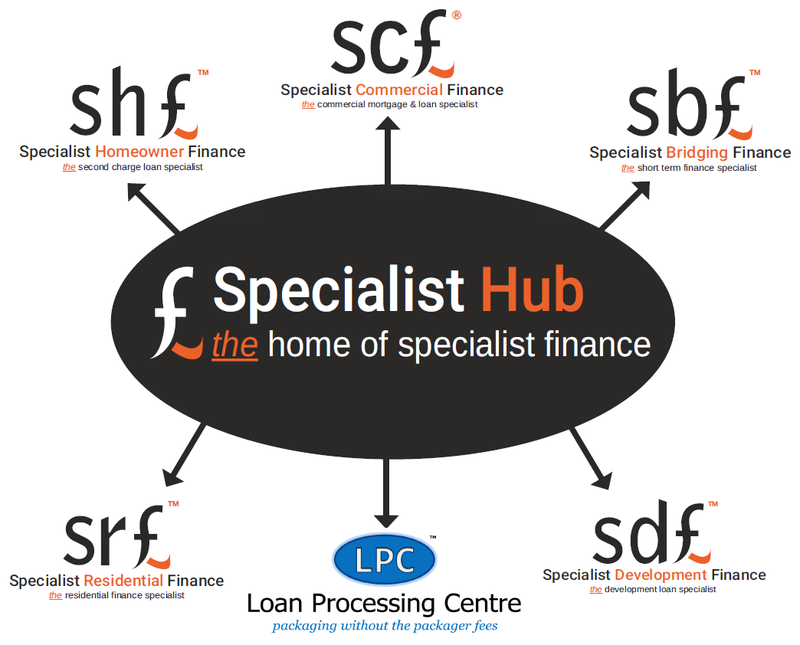 The Specialist Hub’s portfolio of product’s ranges from specialist buy-to-let and HMO’s, second charges, development loans and regulated and unregulated bridging loans to name but a few. The company have access to a panel of 18 lenders (on average), that cater for all different scenarios. They are experts in turning both easy and difficult enquiries into fast completions and will ensure your customer receives the best deal possible for their circumstances, treating them fairly at all times.